CAIR-NY's Afaf Nasher and Albert Cahn organized an Emergency Rally Against Trump's Muslim Travel Ban in the heart of downtown Manhattan. It's central goal was to "create a beacon of light against the coming darkness." 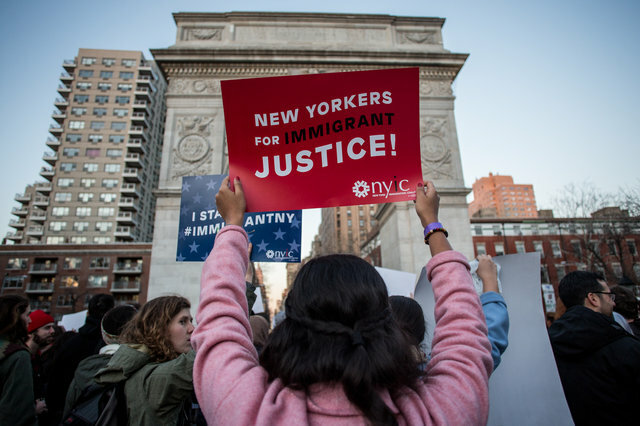 The rally attracted thousands of peaceful protesters and featured various public officials, advocacy group representatives, and community leaders.